Professor Kumar graduated from the Indian Institute of Technology at Kanpur, India with a Bachelor's degree in Mechanical engineering in 1970. After getting an MS and an MBA from University of Rhode Island, USA, he worked in the nuclear piping systems industry for 10 years. In 1984 he joined MIT mechanical engineering department and graduated with PhD in 1988. 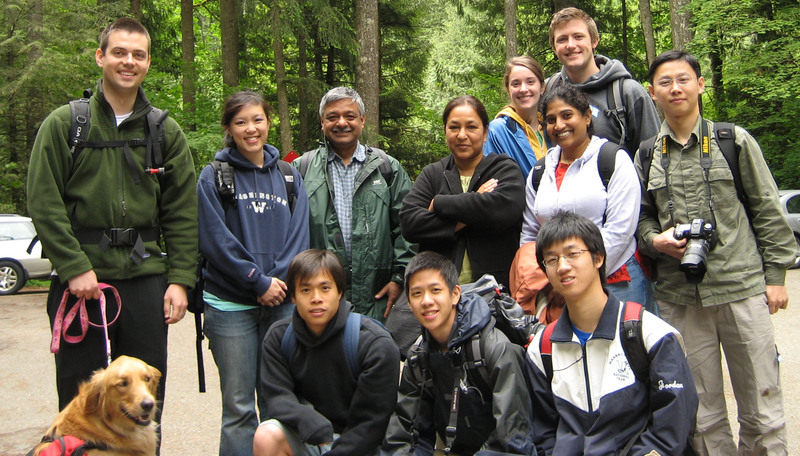 Since that time he has been on the mechanical engineering faculty at the University of Washington at Seattle, USA. 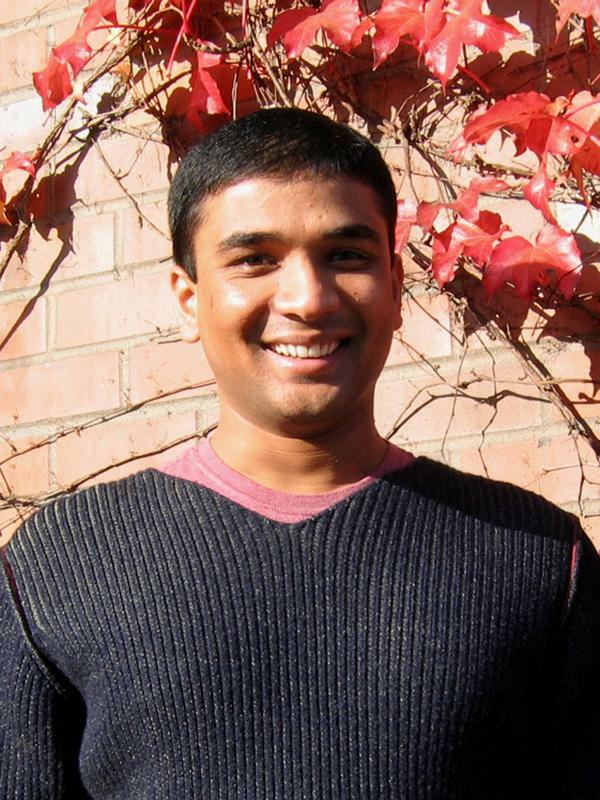 Kumar’s professional interests lie in areas of design, manufacturing, and technology transfer to industry. His research efforts have primarily focused on microcellular foams processing, characterization, and applications development. He holds three patents and has authored or co-authored over 100 publications in this area. 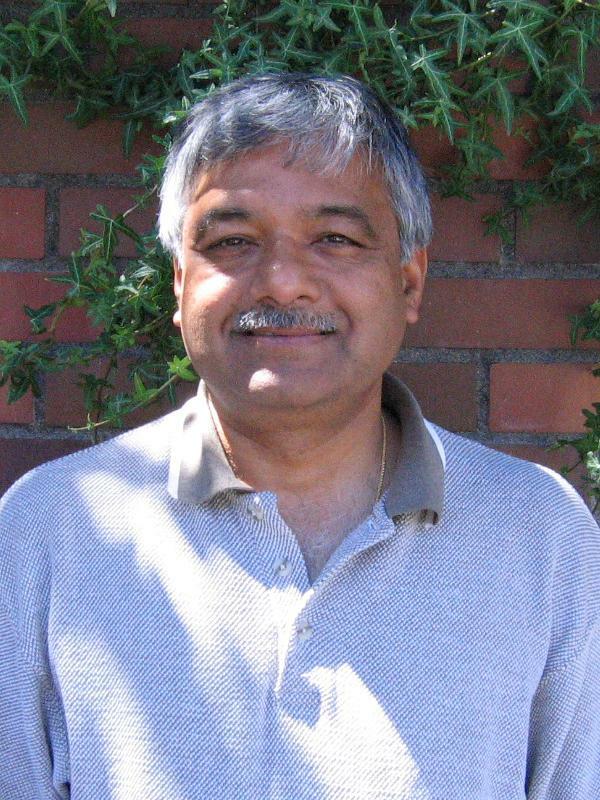 Professor Kumar is a Fellow of the Society of Plastics Engineers. Sravani graduated with her BE in Mechanical Engineering from Osmania University, India in 2000. She worked as junior research engineering at Defense Research and Development Laboratories for a year in India. She then moved to Seattle and earned her Masters at University of Washington in Mechanical Engineering in 2003. Her area of research was to build a permeability measurement system for very thin microcellular foams. Apart from this she also worked on developing a process for producing microcellular TPU. 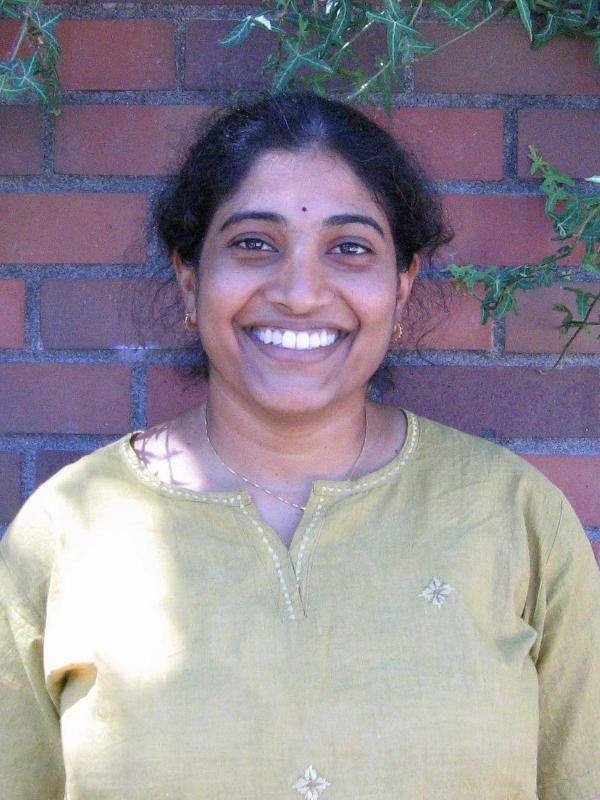 After graduating she joined Center for Nano Technology at University of Washington as Research scientist, worked on various projects in micro and nano fabrication and characterization for two years. She joined back Microcellular lab as Research Scientist/Engineer and Consortium Organizer. Krishna graduated with his BS in Mechanical Engineering from Bangalore University, India in 2000. He started his Masters work at the University of Washington on extrusion of microcellular PVC foams directly after this and completed his degree in 2002. Krishna is currently researching for his PhD on the topic of processing thick microcellular foam panels for structural applications. His other interests and projects lie in the area of thermoforming microcellular foams for food packaging applications. In many of these studies he has focused on recyclable and biodegradable thermoformed products. Xiaoxi has been a research assistant in the Microcellular Plastics Lab since September, 2002. He received his Masters degree in Materials Science and Engineering from Huazhong University of Science and Technology, China, in 2002. The Master’s thesis was about computer simulation of welding. 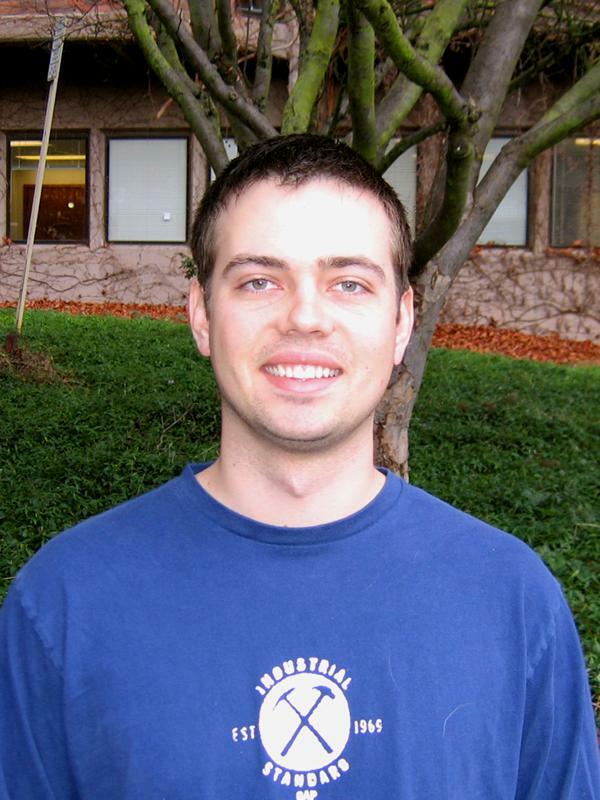 Dustin came to the Microcellular Plastics Lab in December 2005 from Western Washington University where he received his B.S. in Manufacturing Engineering. Over the past year Dustin has worked on a variety of projects for a number of industrial sponsors in addition to performing his own research for completion of his M.S. in Mechanical Engineering. After graduating in spring of 2007 Dustin entered the Mechanical Engineering Ph.D. program. M.S. Thesis - "Characterization of Polyetherimide Carbon Dioxide System and Mechanical Properties of High Relative Density Polyetherimide Nanofoams." Dustin’s M.S. research involved studying the mechanical properties of Polyetherimide (PEI) nanofoams. Nanocellular polymers are characterized by bubbles in the sub-micrometer range with cell densities on the order of 10ˆ14 cells per cmˆ3. Solid-state processing of PEI allows for controlled bubble growth in the range of 20-10,000 nanometers. In general, microcellular plastics have increased mechanical properties over other large celled (macrocellular) foams, though not much is known about what role bubble size plays. Dustin’s research provided a unique look into how cell size contributes to a variety of material properties. Stephen began research in the Microcellular Plastics Lab in his junior year as an undergraduate assisting with processing of microcellular PET sheet for thermoforming applications. In December of 2006, he obtained his BS in mechanical engineering. In January of 2006 Stephen began his studies for his Masters in mechanical engineering and has researched a variety of topics in the field of microcellular foams. Stephen’s current research is to develop a process for creating thermoformable microcellular PLA sheet. One advantage of PLA foams for food packaging is that the articles would be biodegradable with a composting time on the order of one month. PLA has a low service temperature in its amorphous state which makes it unsuitable for higher temperature applications; however, the solid-state foaming process induces crystallinity via gas saturation and subsequent heating which raises the service temperature of the material. One goal is to produce microcellular PLA articles that can be used for microwave oven applications. John’s current research involves the feasibility and characterization of microcellular thin films. Having a material thickness less than 250 µm allows very fast gas saturation and quick processing. The limited processing window creates the challenge of foaming before all the gas has desorbed. PLA films have been foamed with 2 bubbles across the thickness of the material. Future plans include optimizing the foaming process for different materials and testing properties beneficial to the industry. 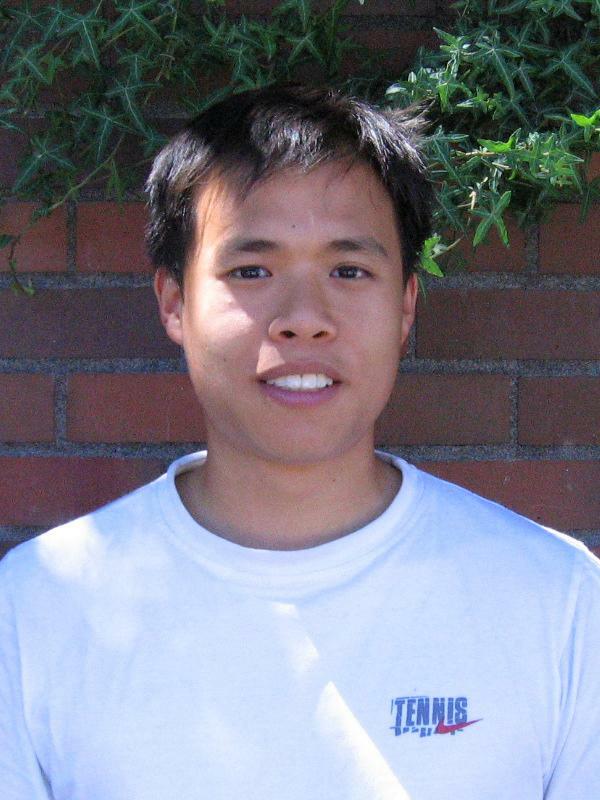 Shieng joined the Microcellular Plastics Lab in April 2007 as an undergraduate research assistant to Professor Kumar. 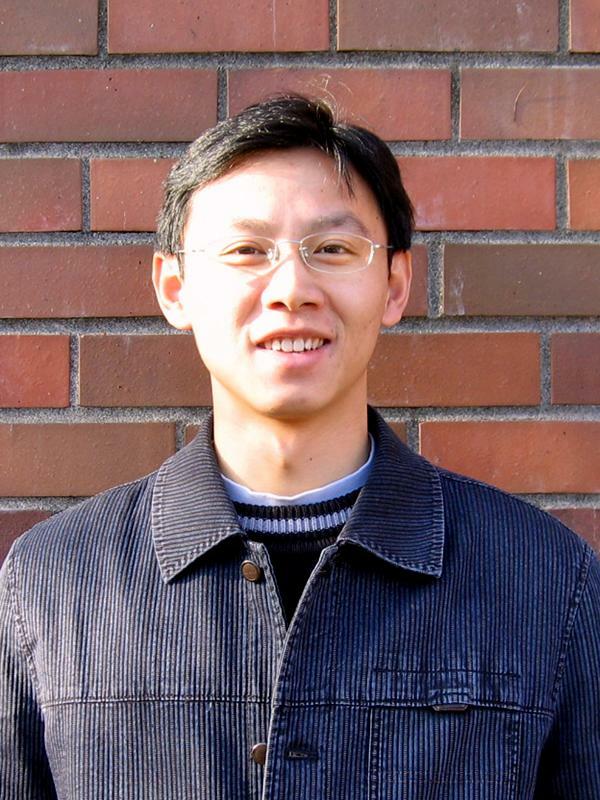 Before joining the lab, Shieng was an intern at Genie Industries located in Redmond, Washington. His internship experience lasted six months, in which he worked to streamline the manufacturing processes of aerial work platforms. After Genie, Shieng worked as an intern in product development of POS terminals at Blue Bamboo located in Shanghai, China for three months. 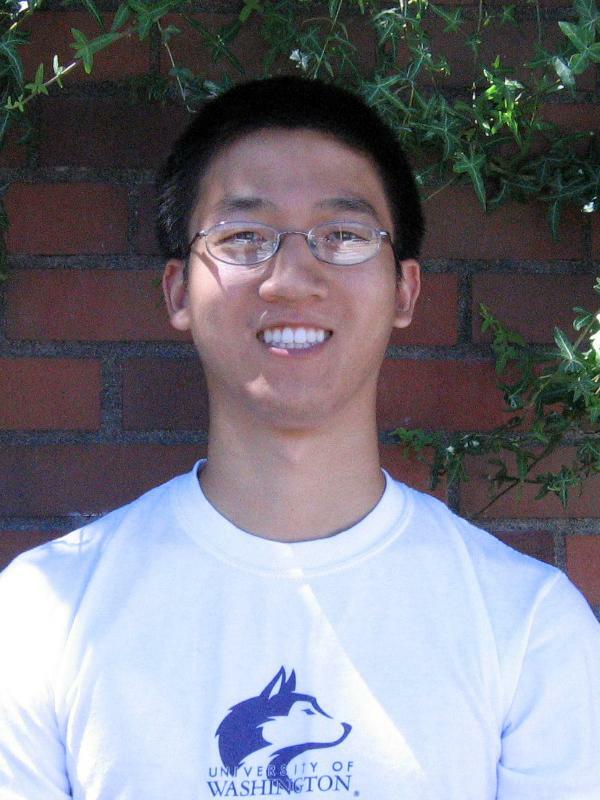 Shieng was also a part of the UW Human Powered Submarine team for one year as a member of the testing team. 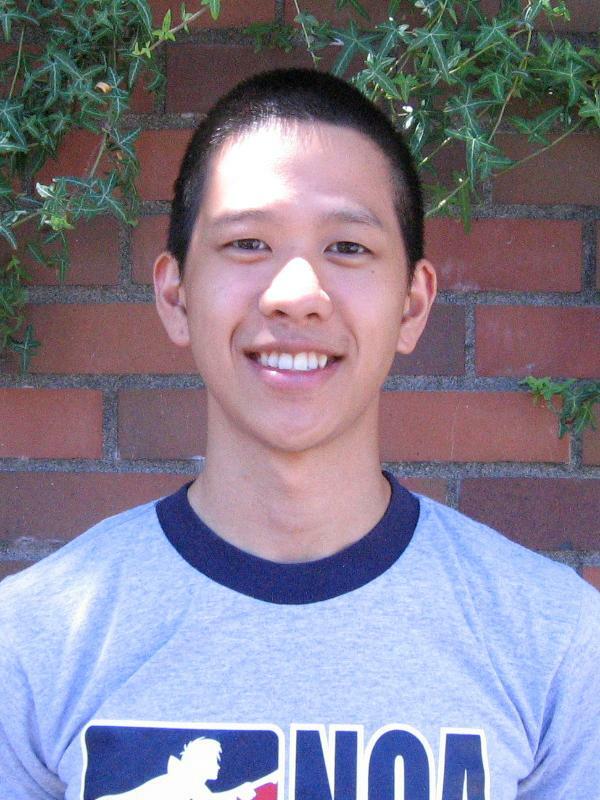 Shieng is expected to graduate with a BSME from the University of Washington in June 2008. Shieng’s current research involves the foaming of polyethylene. Polyethylene has long proved difficult to foam due to the materials sub-ambient glass transition temperature and low gas solubility. Shieng’s research aims at expanding recently identified processing conditions for making microcellular polyethylene foams. Successful foaming of polyethylene would be beneficial for many applications because of the shear volume of material used. 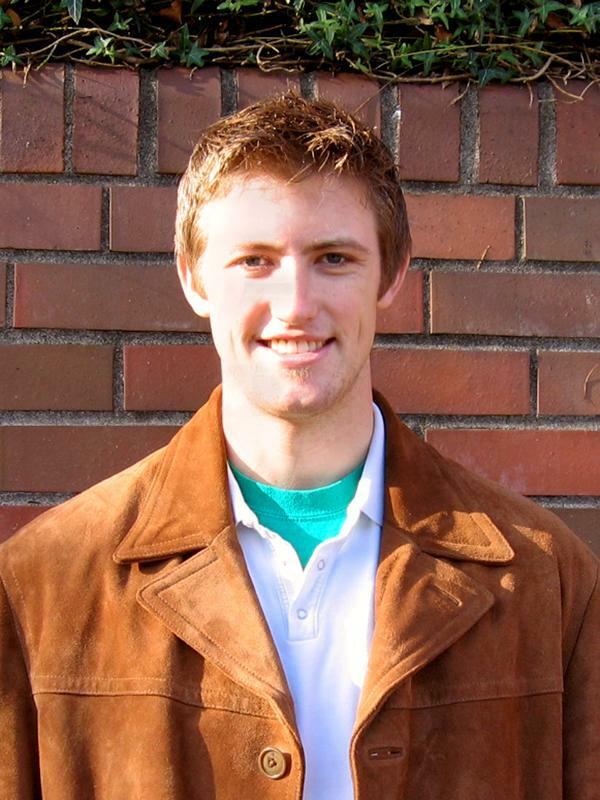 Jordan adventured out west and began his undergraduate education in 2004 at the University of Washington. Currently he is pursuing a bachelor of science in both Mechanical Engineering and Applied Computational Mathematical Sciences (ACMS) with an intended graduation date in spring 2009. Jordan joined the Microcellular Plastics Lab in spring of 2007 as an undergraduate research assistant to Professor Kumar. Jordan’s research has involved characterizing the mechanical behavior of thermoformed microcellular PLA. Mechanical properties change with the introduction of microcellular voids. By producing different density PLA foams and testing them, Jordan was able to illustrate such changes.